DERIDDER – First Baptist is collecting unused/new Christmas cards to be sent to soldiers in Afghanistan and Iraq providing them with cards to send home to their loved ones at Christmas. Lindsey Burns is pastor. 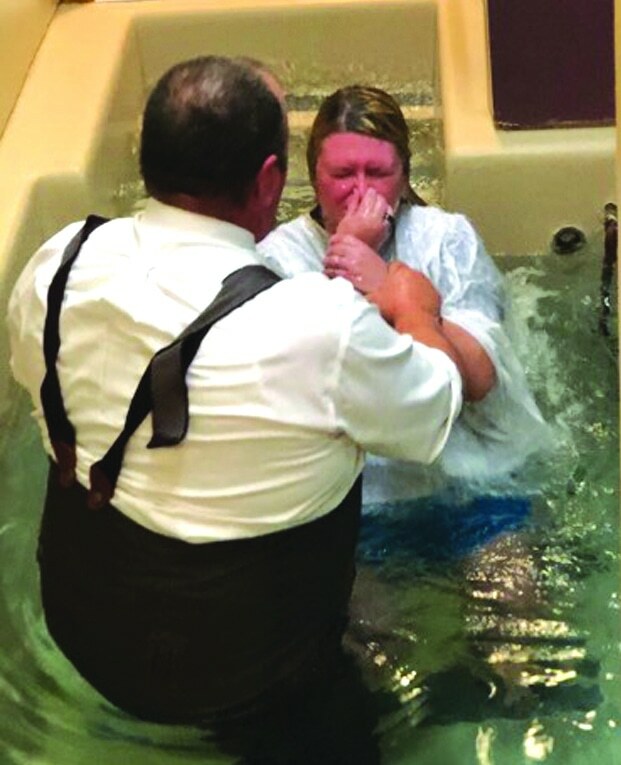 BATON ROUGE – Goodwood Baptist’s Alaska missionary Buckie Smithen is to lead a series of studies on Wednesdays through Dec. 12. The youth fundraiser performances of “Uncle Phil’s Diner” are set at 6:30 p.m. Friday, Dec. 7, and Saturday, Dec. 8. Roger Sullivan is interim pastor. RUSTON – Financial Peace University orientation meetings are set for 5 p.m. Sunday, Dec. 16, and Sunday, Jan. 6, at Temple Baptist. Rick Byargeon is pastor. BATON ROUGE – Jefferson Baptist is collecting items for the Louisiana Baptist Children’s Home White Christmas. Food and kitchen items, paper products, clothing, linens and gift cards are being accepted. The church’s radio station, WBRJ 105.7 FM, is to begin playing Christmas music and requests CDs of wholesome Christmas carols. T.C. French Jr. is pastor. MANY – Sammy Gilbreath, an Alabama State Missionary, is to be the speaker at First Baptist during both worship services, Sunday. Dec. 9. Steve Kelly is pastor. BATON ROUGE – Woodlawn Baptist has recently collected and sent money to Cameroon’s Youth for Jesus to purchase Bibles since its return from a Cameroon, Africa, mission trip. Tommy Middleton is pastor. TULLOS – First Baptist’s cantata is set for 5:30 p.m. Sunday, Dec. 9. David Berry is music director. Ron Skinner is interim pastor. BAKER – The Christmas party for the children of First Baptist is set for 12:30 p.m. Saturday, Dec. 8. Following the party at 1:15 p.m., the children are to ride in the Baker Christmas parade. The Joyful Sounds Christmas musical is to be presented at 10:30 a.m. Sunday, Dec. 9. Marvin Smith is minister of music. Linda Williams is children’s director. Dennis Allen is pastor. HAUGHTON – A Family Christmas Celebration for families with children birth through 5th grade is set for 6 p.m. Friday, Dec. 7 at the Family Life Center of First Baptist. The western theme is to feature special guest “Cowboy” Donnie Blankenship. Teresa Smith is minister of children and young families. Gevan Spinney is pastor. ZACHARY – Christmas Gatherings, to be hosted in neighborhood homes, are to be a part of the Christmas season at First Baptist. The parties are to feature holiday food, spontaneous sharing of Christmas traditions, a brief, non-threatening talk on the meaning of Christmas, and an opportunity to receive Christ. Reggie Bridges is pastor. OAKDALE – First Baptist is to host a senior adult Christmas luncheon at 11 a.m. Thursday, Dec. 6 and a hayride and bonfire is set for grades 1 through 6 at 6:30 p.m. Friday, Dec. 7. Scott McKenzie is minister of education. Stephen Laughlin is pastor. HAUGHTON – A youth progressive supper is set for 5 to 8 p.m. Saturday, Dec. 8 at Koran Baptist. The Kid’s Choir Christmas program is set for 11 a.m. Sunday, Dec. 9. A church-wide Christmas Caroling is set for 6 p.m. Saturday, Dec. 22 and church-wide Christmas party is to follow the evening worship service, Sunday, Dec. 23. George Rogers is pastor. PONCHATOULA – The second annual Christmas Tea of the women’s ministry of First Baptist is set for 1 p.m. to 3 p.m. Saturday, Dec. 8. The cost is $12. BATON ROUGE – CrossPoint Baptist is to host a Living Nativity 6 p.m. to 8 p.m. Friday and Saturday, Dec. 7 and 8. Landon Dowden is senior pastor. LAFAYETTE – “Sounds Like Christmas” is to be performed at 7 p.m. Saturday and Sunday, Dec. 8 and 9 at First Baptist Lafayette. 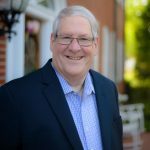 The Sanctuary Choir and Orchestra with guest soloists are to be directed by John Frank Reeve, minister of music, and is part of the performance series titled “Season For The Savior.” Steve Horn is pastor. VIDALIA – The adult Christmas banquet at First Baptist is to be held at 6 p.m. Saturday, Dec. 8. Music by No Other Name is to be presented. The cost is $9 per person. Dan Glenn is pastor. SHREVEPORT – Kingston Road Baptist is sponsoring a shopping trip to Dallas, Saturday, Dec. 8. LAFAYETTE – The Evangeline Baptist Association and Gulf Coast Association Ministers’ Wives Christmas Brunch is set for 10:30 a. m. Saturday, Dec. 8, at the home of Betty Young. Bert Langley is director of missions. NEW ORLEANS – The children’s choir of First Baptist is set to present a Christmas program at 6 p.m. Sunday, Dec. 9. A Keyboards at Christmas Concert with a stage full of pianos was held as a kickoff for Christmas recently. Robert Comeaux is associate pastor of worship and music. David Crosby is pastor. ALEXANDRIA – Parkview Baptist is to present a choir Christmas program at 10:45 a.m. Sunday, Dec. 9. David L. Shaw is senior pastor. DERIDDER – New Life Baptist’s Christmas musical is set for 11 a.m. and 4 p.m. Sunday, Dec. 9, featuring New Life’s Praise Team. Joe Joslin is minister of music. Lynn Clayton is pastor. KENTWOOD – First Baptist’s widow banquet is set for Sunday, Dec. 9, following the morning worship service. Joey Miller is pastor. HOUMA – Children and youth of Mulberry Baptist have set a special service for Dec. 9 to include drama and liturgical movement, and the Praise Band is to be featured during the Dec. 9 morning worship. The Sanctuary Choir’s musical is set for Dec. 16. Steve Graves is pastor. BOGALUSA – First Baptist’s Sanctuary Choir is to present a Christmas concert at 6 p.m. Sunday, Dec. 9. The children’s choirs are to perform with snow at 6 p.m. Sunday, Dec. 16. Bob Adams is pastor. JENA – First Baptist’s Christmas Cantata is set for 6 p.m. Sunday, Dec. 16, to be followed by a church-wide Christmas dinner at 7 p.m. The church is also sponsoring a Giving Tree for needy children and a Christmas meal for 40 families is planned. Dominick C. DiCarlo Jr. is pastor. SULPHUR – The Musical Mondays Choir of First Baptist is to present “Three Wise Men and a Baby” at 6 p.m. Sunday, Dec. 9. Missionary Judy Jones from Frankfurt, Germany, is to speak at 10:30 a.m. Sunday, Dec. 9. Donations of garage sale “gift” items in good condition are being accepted for the Awana annual Christmas store set for Wednesday, Dec. 12. A Christmas card contest for children grades 1 through 5 is in progress. “Christmas Praise,” is to be presented by the Agin’ Cajuns and Worship Choir at 6 p.m. Sunday, Dec. 16. Donald Dukes is minister of praise and worship. David Holder is pastor. LAKE CHARLES – First Baptist Moss Bluff is sponsoring a Christmas tour of homes, Monday, Dec. 10. WEST MONROE – The Rock of Ages Choir of Ridge Avenue Baptist is to go Christmas caroling on Tuesday, Dec. 11, followed by a fellowship at the home of Mildred Moore. David Brown is pastor. RUSTON – The Temple Baptist children’s Christmas program is set for 6 p.m. Sunday, Dec. 12. Sally Hearn is minister of childhood education. Rick Byargeon is pastor. BATON ROUGE – The Joy Club of Woodlawn Baptist has set its Christmas Dinner for 11:30 a.m. Thursday, Dec. 13. Tommy G. Middleton is pastor. HAUGHTON – The senior adult Christmas dinner of First Baptist is set for 11 a.m. Thursday, Dec. 13 at the home of Donna Beaty. Scotty Gibson is minister of senior adults. Gevan Spinney is pastor. WEST MONROE – The children’s choirs of Fair Park Baptist are to present “The Christmas Present” at 6:30 p.m. Wednesday, Dec. 12. The adult choir is to present “On This Very Night” at 5:30 p.m. Sunday, Dec. 16 to be followed by a church-wide Christmas reception and Christmas Day service at 10 a.m. Tuesday, Dec. 25. Waymond Warren is pastor. SLIDELL – The children’s Christmas music is to be presented at 6 p.m. Sunday, Dec. 9, and the worship choir and orchestra is to present “The Heart of Christmas,” at 6 p.m. Sunday, Dec. 16, at Grace Baptist. Bob Heustess is pastor. SLIDELL – Grace Memorial Baptist is sponsoring a trip to the Celebration in the Oaks at City Park in New Orleans at 5 p.m. Thursday, Dec. 13. Bob Heustess is senior pastor. ZACHARY – “Noel – 2007 Celebration of Christmas Moments” is set for 4 p.m. and 6 p.m., Sunday Dec. 9 at First Baptist. The program is to include Christmas carols, Big Band style songs, children’s songs, congregational participation and classic Christmas songs. Major events in the ministry of Jesus are to be shown in a multi-media presentation. Over 100 voices and instrumentalists are to lead in the variety of worship and fun songs of Christmas. The evening is advertised as a special community event of fun and worship. Reggie Bridges is pastor. WINNFIELD – The Sanctuary Choir of First Baptist is to present a classic Christmas program of holiday music at 6 p.m. Sunday, Dec. 9. The children’s choirs are to perform “Three Wise Men and a Baby” at 6 p.m. Sunday, Dec. 16. Jerold McBride is interim pastor. PINEVILLE – The annual Christmas Dessert tradition of Pineville Park Baptist is set for 6:30 p.m. Sunday, Dec. 9. Christmas music is to be provided by the Christmas Chorale. Thomas E. Lott, Jr. is minister of music; Greg Carroll is pastor. BLANCHARD – First Baptist’s Voices of Praise are to present “Unspeakable Joy” Saturday, Dec. 8 and Sunday, Dec. 9. The church’s handbell choir is to present a concert at 1 p.m., Saturday, Dec. 15 at the Pierre Bossier Mall and a concert at the church at 6 p.m. Sunday, Dec. 15. James Hill is pastor. BLANCHARD – The third annual Cookie Swap is set for 10:30 a.m. Saturday, Dec. 8. Debra Richardson is the speaker. Participants are asked to bring three dozen cookies and recipes to swap. James Hill is pastor. WINNFIELD – A Kids’ Night Out Christmas Party is set at 5 p.m. Saturday, Dec. 8 at First Baptist. Jerold McBride is interim pastor. MONROE – “Silent Night,” the children’s Christmas party, is set for 11 a.m. to 4 p.m., Saturday, Dec. 8, for bed babies through sixth grade. First Baptist’s children’s choir performance is set for 6 p.m. Sunday, Dec. 9, and a youth Christmas musical is set for 6 p.m., Sunday, Dec. 16. Alan Miller is pastor. ST. FRANCISVILLE – First Baptist is to provide “The Live Nativity” scene for the town “Christmas in the Country” event at 6 p.m. to 8 p.m. Saturday, Dec. 8. The children’s choir is to sing at the St. Francisville Town Hall Christmas tree lighting at 5:30 p.m. Friday, Dec. 7. Joe Ratcliff is pastor. DENHAM SPRINGS – The Christmas presentation, “All Bow Down,” is set for 6 p.m. Saturday, Dec. 8 and Sunday, Dec. 9 at Hebron Baptist. Joe Alain is pastor. JONESBORO – “There is Peace in the World Tonight” is to be presented by the New Song choir at Ebenezer Baptist at 6 p.m. Sunday, Dec. 9 and Hodge Baptist at 7 p.m. Monday, Dec. 10. FRANKLIN – The Christmas musical “Sing Joy” is to be presented at 6 p.m. Sunday, Dec. 9 at First Baptist. Adam Frederick is music director. J. Paul Vandercook Jr. is pastor. WEST MONROE – “The Littlest Shepherd” is to be presented at McClendon Baptist Sunday, Dec. 9. Rita Young is children’s director. Rick Crandall is pastor. ALEXANDRIA – “A Festival of Lessons and Carols” to be presented by the Sanctuary Choir of Emmanuel Baptist is set for 6 p.m. Sunday, Dec. 9. The choir is to be accompanied by an orchestra. BATON ROUGE – Judson Baptist is planning a Mexico Mission Christmas trip for Dec. 14 – 21. A Christmas musical by the Celebration Choir is set for 10:30 a.m. Sunday, Dec. 9. Merelin McCon is pastor. BATON ROUGE – The children’s Christmas music program is to be presented at 6 p.m. Sunday, Dec. 9 at Broadmoor Baptist. Paul Henderson is music minister. Roger Sullivan is interim pastor. DERIDDER – “A White Christmas Celebration” is the theme for the senior adult banquet of First Baptist at 6 p.m. Monday, Dec. 10. Doyle Cooper is minister of education/senior adults. Lindsey Burns is pastor. MONROE – The Women’s Ministry “Circle of Friends” Christmas pot luck is set for 6:30 p.m. Tuesday, Dec. 11 at North Monroe Baptist. The Heritage Leader choir is set to sing at 10:30 a.m. and 2:00 p.m. Tuesday, Dec. 11 at local nursing homes. Bill Dye is senior pastor.